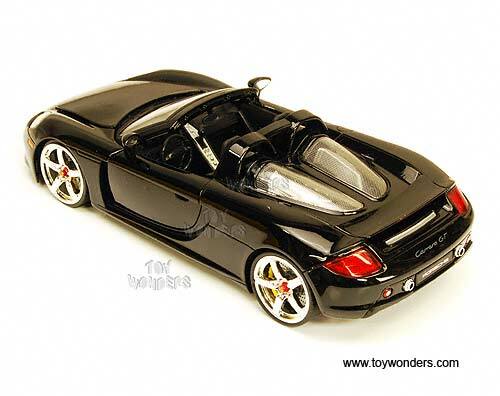 91994UD Jada Toys Bigtime Kustoms - Porsche Carrera GT convertible. 1:24 Scale diecast collectible model car. 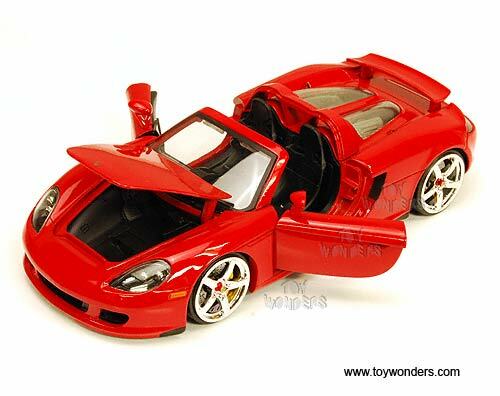 This Porsche Carrera GT is a 7"L x 3"Wx 2"H diecast metal car with movable rear spoiler, openable hood and doors. Rims: Carrera GT. 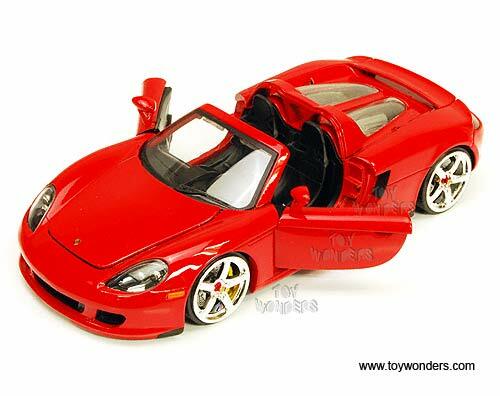 This Porsche Carrera GT is manufactured by Jada Toys. Bigtime. Item 91994 is in assorted colors. 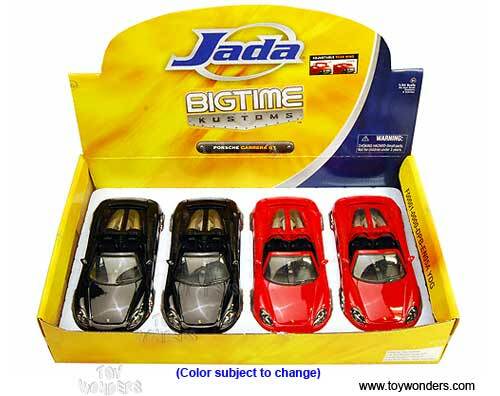 To see more Jada collector die-cast models (click here). Sold in lots of 4 pcs.